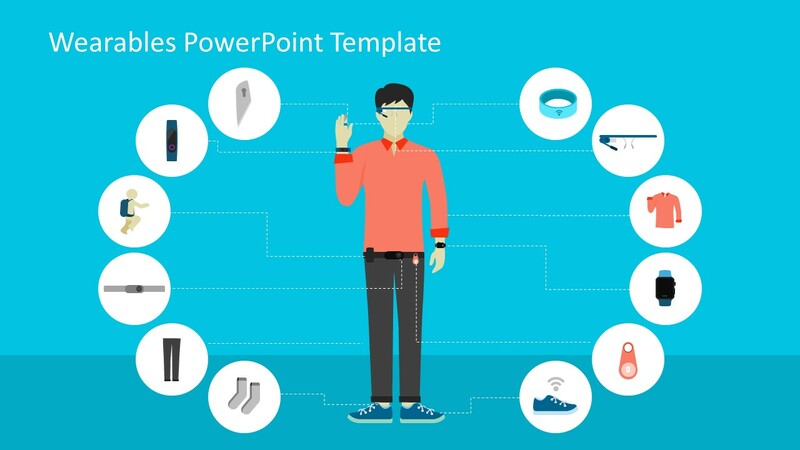 The Wearables Shapes PowerPoint Templates presents the technology imbed articles of accessorizing. 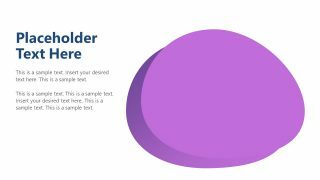 The presentation is 4-slide template of flat vector shapes, infographics and clipart images. The wearable technology is a slow but growing market significantly in the healthcare and fitness sector. These are the tools providing efficiency in daily tasks. For instance, the smartwatch assists users to access notifications and calls along with benefits like fitness tracking and more applications. Similarly, the smart glasses aid in maximizing the efficiency by giving individual the freedom to access the internet anywhere. 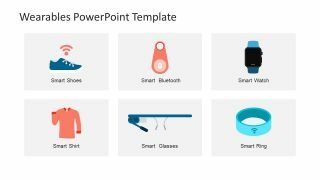 The flat wearable shapes in this PowerPoint are the circular infographic icons showing many options. Such as, smart finger, ring, bracelet, glasses, backpack, trousers, shirts and just about every item of accessorizing. 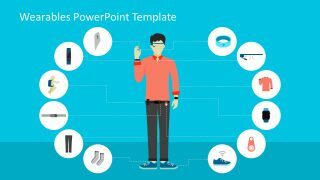 The Wearables Shapes PowerPoint Templates illustrate a man wearing all the gadgets of technology. The slides highlight these technology wearables in label diagram presenting the infographics in circular icons. 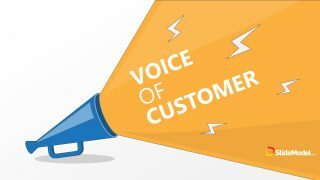 The gadgets are the tools to support the flow of activities and bring efficiency to the overall processes. 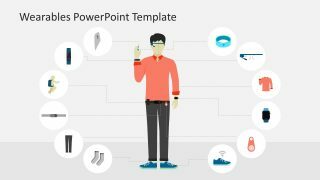 The illustration of man with wearables shapes in this template are two PowerPoint slides of assorting backgrounds. The change in the backgrounds suggests the possible customizations to editable elements like PowerPoint shapes. Likewise, the theme and color of objects are editable from design variants menu and shape fill pallet. The wearable technology in health care collects the patient’s data and keep the medical aid notify in emergency situations. 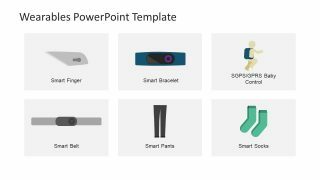 Therefore, the PowerPoint shapes of wearables demonstrate the advancement in medical and fitness by introducing the technology gadgets. Further, the template contains slides displaying clear images of these technology wearables. 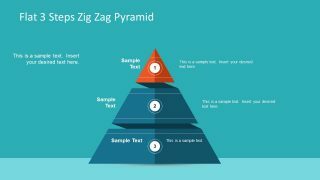 These slide templates are useful for reusing images and creating another creative idea for presentations. 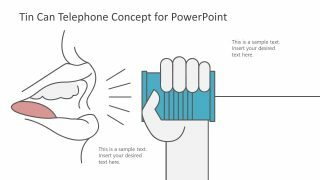 All the tools given in this PowerPoint are accessible through Bluetooth and WiFi and collect real-time data for analysis.